Hunting etiquette allows the old hunting hands and those new to the hunting field to enjoy the best of the day, while operating within a code of good manners which is most useful. For the best and most authoritative hunting content read our advice on what to wear out hunting and what makes the best hunting horse. But to ensure your hunting etiquette is field ready Sarah Fitzpatrick provides all the answers on hunting etiquette. But be sure not to committ any of the seven deadly hunting sins. Etiquette is often derided as an outmoded and even discriminatory affectation, something to be mocked rather than admired. Why did poor Julia Roberts have to spend hours learning about salad forks before an evening of fine dining with Richard Gere in Pretty Woman? Why indeed, when her supposed Prince Charming then insisted on ordering escargots on her behalf? But the word does not cover convention alone, it also signifies good manners and a code of conduct still recognised as useful. Most organisations have such a code, and hunting is no exception. Hunting manners and hunting etiquette are rooted in common sense and should add to your enjoyment of the sport. 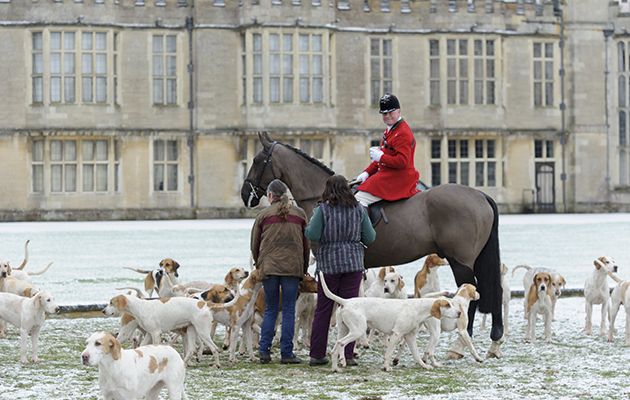 Hunting etiquette is certainly no barrier to entry; indeed, hunt followers who attended their first meet in a basket saddle can be as likely to lapse as any cradle Catholic, so with a new season open let us all resolve to help them help us by minding our Ps and Qs. The art of hunting may not have changed much over the centuries but many of the most significant additions to hunting etiquette involve the internal combustion engine. Hacking to a meet is now the exception rather than the rule, so dozens of horseboxes and trailers converge on rural crossroads and village greens. It matters where you abandon your vehicle, and not just for your own convenience. Some hunts give specific guidelines to subscribers. Follow them to the letter; otherwise observe general points, such as parking a distance from the meet, avoiding any gateway, access, village boundaries and hunt coverts, as well as obviously unsafe spots on bends and near junctions. Some years ago a Leicestershire resident, trying to leave her house on a Monday morning, found her drive blocked by a horsebox. She went to see why it hadn’t moved out of the way only to find the driver was “just having a coffee”. This sort of thing is not acceptable. It is essential not to cause accidents, block traffic or hinder the huntsman drawing coverts. It’s in your best interest, too, as a little hack after unboxing will help get a keen horse’s back down and see you arrive settled and ready to enjoy a chat and a drink. While on the road, clear a path for and thank all passing traffic. Apart from the fact that it would be rude not to do so, if drivers are enraged by your messing about they are less likely to drive considerately around horses in future. “As a hunt committee we are always being asked to get people to thank cars and were thrilled to get a report that every child did so,” Vanessa Kilgour of the Old Berkshire Foxhounds confirms. We should note that car followers must be just as conscientious when it comes to hunting etiquette, as they are equally responsible for representing their local hunt and maintaining its good reputation. “I once sent some car followers home,” says Henry Berkeley of the eponymous hunt, “and that took some doing.” If the hunt has not nominated a car-follower monitor then please take it upon yourself to prevent the others from crawling along main roads at 5mph while craning their necks for a glimpse of a horse or hound, swerving across the road or performing an emergency stop when they see something, or pausing to greet a friend coming the other way (so blocking the whole road) to discuss where hounds might be heading. If you are part of the mounted field common sense also applies, and it is a good idea for even seasoned campaigners to brush up on their company manners and hunting etiquette. Do say “good morning” to the Master, but not while he is in discussion with the huntsman about the running order of draws or who has stock out. ‘Good Morning, Master’. But be sure not to interrupt if he’s in deep discussion with the huntsman. “No one but a huntsman knows a huntsman’s cares,” sighed Peter Collins, the Quorn’s popular professional. Which is all the more reason for us to do our utmost not to add to them. Hunting hounds well with a hard-riding field behind you had always been challenging but since the Hunting Act it is considerably more so. Thank goodness we don’t need to produce loyal hounds desperate to try for us, keep them from rioting and from harm while providing a show for the paying guests. All we need to do is simply avoid getting in the way or becoming another danger to the hounds as they work. Hounds have right of way at all times – if a couple are trying to catch up, call out “’ware hound” and “hound on the left/right”, so that those ahead can get out of the way. If the pack passes the field, turn your horse’s head towards them and keep kicking heels away at all costs. An essential piece of hunting etiquette. 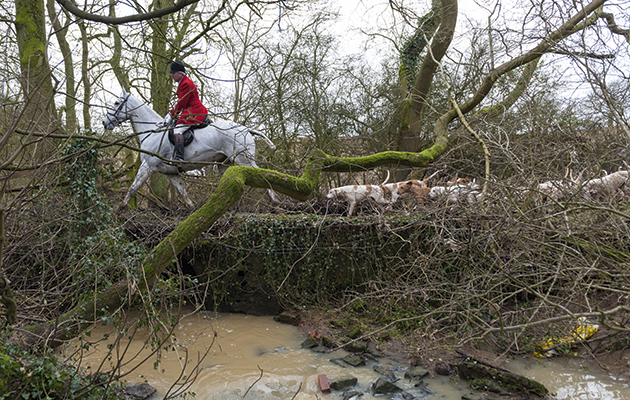 Equally, good hunting etiquette should remind you never follow the huntsman or his staff about – your place is with your field master who will be as keen as anyone to get away with hounds and show good sport. Like the huntsman’s, the Master’s difficult job became more stressful after the ban. He is here at his own cost and must use considerable diplomatic skills to keep the show on the road,so if they occasionally run out when people misbehave it is not surprising. Bollockings seem to be quite rare these days but there was a time when the air was frequently blue with Masters rating the field.  Your place is with the field. Not on the huntsman’s tail. And she was right to do so, as they also work pour encourager les autres. Hunting folk are welcoming to newcomers but old hands should always be generous with their knowledge in order to help learners understand hunting etiquette and get more out of the day. 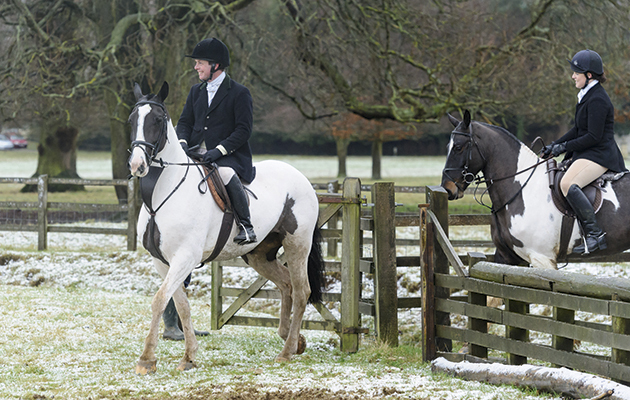 The Pony Club hunting certificate is a great place to start. 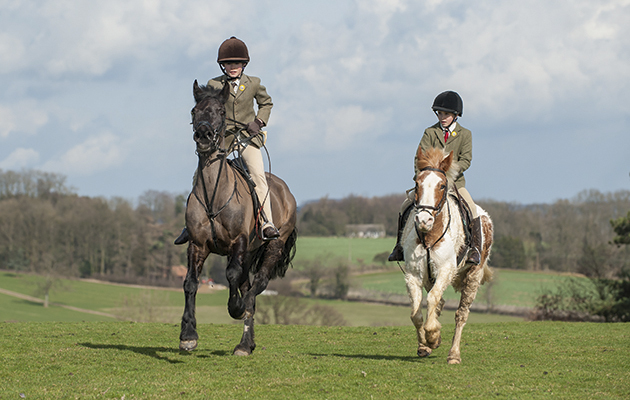 For children taking up hunting the Pony Club is, as ever, a shining light of hunting etiquette and good manners. The organisation’s branches have always been closely allied to the hunts and offer a Hunting Certificate for children who would join the field. Vanessa Kilgour handles the Old Berkshire’s tests and is clear that the point is “to educate the parents as well”. Candidates attend a talk about hunting and their parents are encouraged to stay. The talk is seriously informative, touching on management of hunting ponies and carrying string and a laminated card with emergency numbers and medical information, as well as trying to educate them about the countryside and farming. Plus useful hints such as not taking sweets in little wrappers as it is hard to get into them and you are in danger of littering, which we must never do. 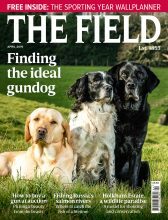 With this and a tour of the kennels, including the flesh house, under their belt, members over 12 years go out hunting under the wing of a designated mentor. The Old Berkshire has five kind souls who are helping to “enter” young hunters in this way. It is easy to picture Kilgour like the Pied Piper with loads of children behind her, as it is a familiar scene across the country. But we should never look at the hunting field as a form of crèche; parents must ensure in advance that there is an adult happy to look after children if they are not out themselves. Children should have good manners and be helpful – quick to jump off and open a gate for example – but Kilgour also counsels that they should “be realistic about what they can do”. It is important to keep out of harm’s way. At the front of the field it is a bit like driving on the motorway, you need to keep up with the flow of traffic and mistakes will cause a pile up. Mirror, signal, manoeuvre might seem a bit much to ask, but please keep straight when jumping and be aware of your surroundings. Some blithely happy hunters are never aware of the destruction in their wake. Go slowly through gates and over bridges and do not shoot off on the far side, leaving the horse behind you to plunge, breaking his rider’s leg against a gate, or lose his footing on a rickety bridge. Don’t keep refusing at the one jumpable bit of fence, get out of the way to let others through, and don’t cut across someone’s line when they are committed to a fence. If your horse has the slightest propensity to kick don’t just wear a red ribbon, keep it away from the throng. The most important hunting etiquette of all does not involve knowing the back end of a fox is called the brush and of a hound the stern, and it has nothing to do with the colour of your breeches. Respect for your hosts is the foundation of all hunting and hunting etiquette must take this into account. If you play fast and loose with a farmer’s stock or land you may prevent the hunt from returning there – which puts an individual being sent home in perspective. Walk through farmyards holding stock and do not roust about grazing animals either. Serious and expensive damage can be done to milk yields or weight at market, and calves or lambs may be slipped. Pass “gate please” back down the line as you go through to indicate it needs to be closed and if you are at the back you must do it yourself, however long it takes. Neither should you gallop off and leave the last man struggling alone. Take care with any swinging gates and pause to give it a good push as you pass through or it will slam in the face of the horse following you. Not good hunting etiquette. Be sure not to let a gate shut onthe rider behind you. Or tear off once you’re through. If you break a fence tell the Master or secretary, and have a care for fallers. Everyone has an involuntary dismount from time to time as the fashion for tumblers’ clubs attests and, having taken a soil sample, is grateful to be reunited with the horse – hunting boots not being made for walking.